Harrison stocks 4' x 8' sheets of 1/16", 1/8", 3/16" and 1/4" Polypropylene and PVC perforated sheet. 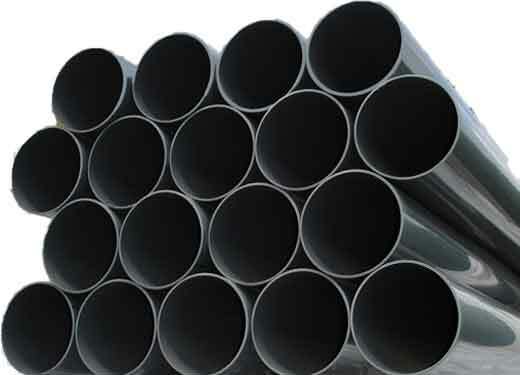 Various hole diameters and patterns available. QUANTITY DISCOUNTS AVAILABLE on perforated plastic sheet. NEED YOUR PERFORATED SHEET CUT? We will cut your perforated PVC or Polypropylene plastic sheet to fit your application. 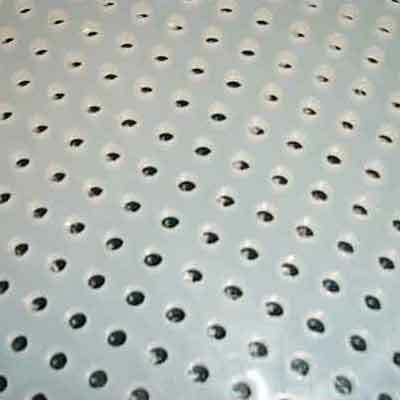 Perforated PVC and Polypropylene sheet is commonly used for acid resistant applications such as strainers and drains. Perforated plastic sheet is more corrosive resistant and lighter than perforated metal sheet. 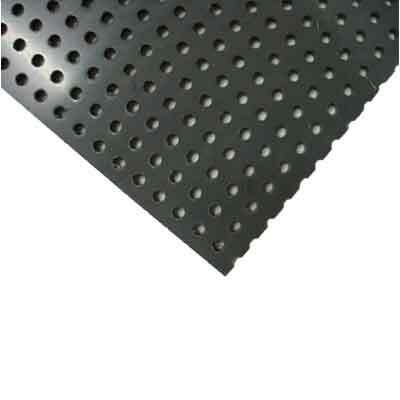 All PVC perforated plastic sheets are 48" x 96"
All perforated plastic sheets are 48" x 96"